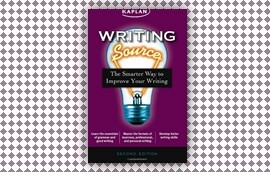 Writing Source: The Smarter Way to Improve Your Writing is a compact guide with all the information you need to increase your grasp of the language, boost your writing skills, and most importantly, retain what you’ve learned. The book presents individual lessons on subjects such as the parts of speech; diction, clarity, and tone; and prewriting. Skills are reinforced through practice in each chapter, and a cumulative test at the end of the book.